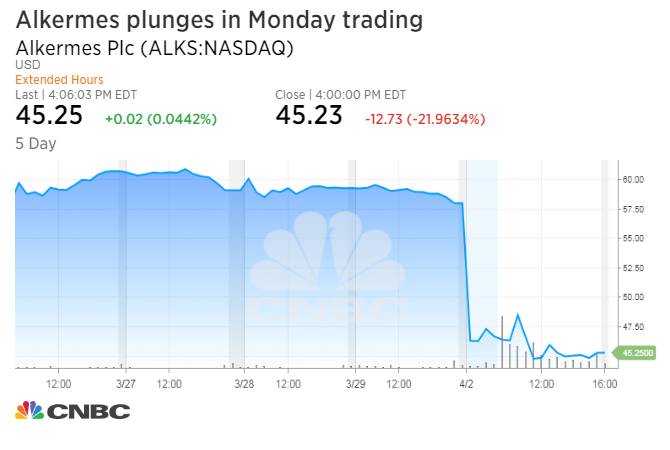 Shares of biotech company Alkermes dropped Monday after announcing the U.S. Food and Drug Administration refused to review the firm’s drug for treating depression. The stock tumbled 21.96 percent to $45.23 a share, its worst day since Jan. 21, 2016. With Monday’s decline, Alkermes erased its gains for the year and was down more than 17 percent for 2018. 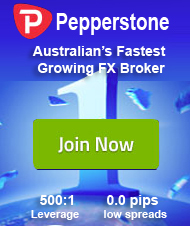 The stock had a market capitalization of about $7.06 billion, a roughly $2 billion decline from Thursday. U.S. markets were closed Friday for Good Friday. Alkermes said Monday it received a “Refusal to File” letter from the FDA regarding the company’s application for a new drug called ALKS 5461. After a preliminary review, the FDA determined it had insufficient evidence for the drug’s effectiveness and is “unable to complete a substantive review,” according to a release from the drugmaker. The FDA added that “additional well-controlled clinical trials are needed prior to the resubmission of the [new drug application] for ALKS 5461,” the release said. “We strongly believe that the clinical development program, including data from more than 1,500 patients with MDD, provides substantial evidence of ALKS 5461’s consistent antidepressant activity and a favorable benefit-risk profile,” Richard Pops, Alkermes CEO, said in a statement.